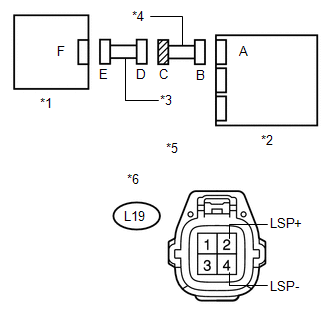 The seat position airbag sensor circuit consists of the center airbag sensor assembly and seat position airbag sensor. DTC B1653/35 is stored when a malfunction is detected in the seat position airbag sensor circuit. 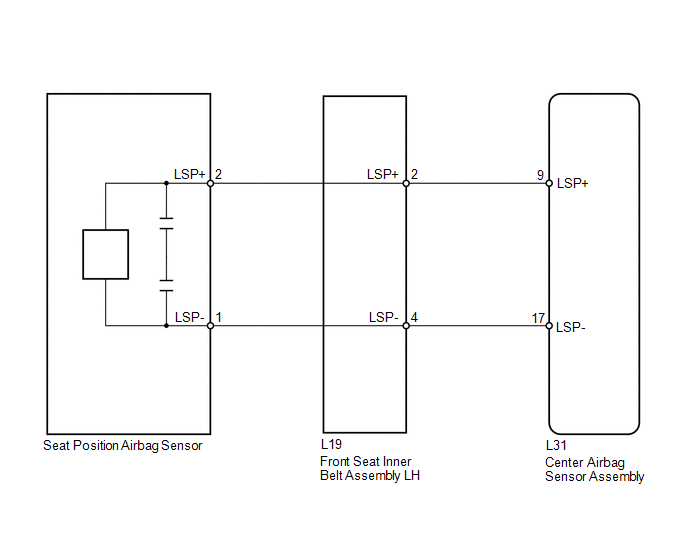 The center airbag sensor assembly receives a line short circuit signal, an open circuit signal, a short circuit to ground signal or a short circuit to B+ signal in the seat position airbag sensor circuit. (c) Check that the connectors are properly connected to the center airbag sensor assembly, front seat inner belt assembly LH and seat position airbag sensor. (d) Disconnect the connectors from the center airbag sensor assembly, front seat inner belt assembly LH and seat position airbag sensor. (a) Connect the connectors to the front seat inner belt assembly LH and floor wire. 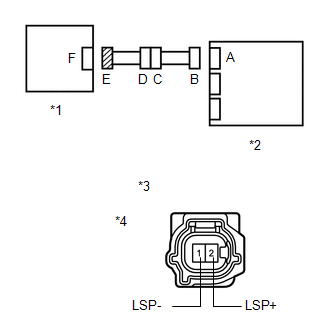 (b) Using SST, connect terminals 9 (LSP+) and 17 (LSP-) of connector B. (a) Connect the connectors to the center airbag sensor assembly and seat position airbag sensor. 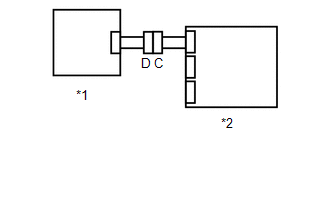 DTC B1653/35 is not output. Codes other than DTC B1653/35 may be output at this time, but they are not related to this check. (c) Replace the seat position airbag sensor with a known good part (See page ). Perform the following inspection using known good parts from another vehicle if possible. (b) Turn the ignition switch to ON, and wait for at least 60 seconds. (c) Clear the DTCs stored in memory (See page ). (a) Disconnect the floor wire from the front seat inner belt assembly LH. (c) Disconnect the floor wire from the front seat inner belt assembly LH.